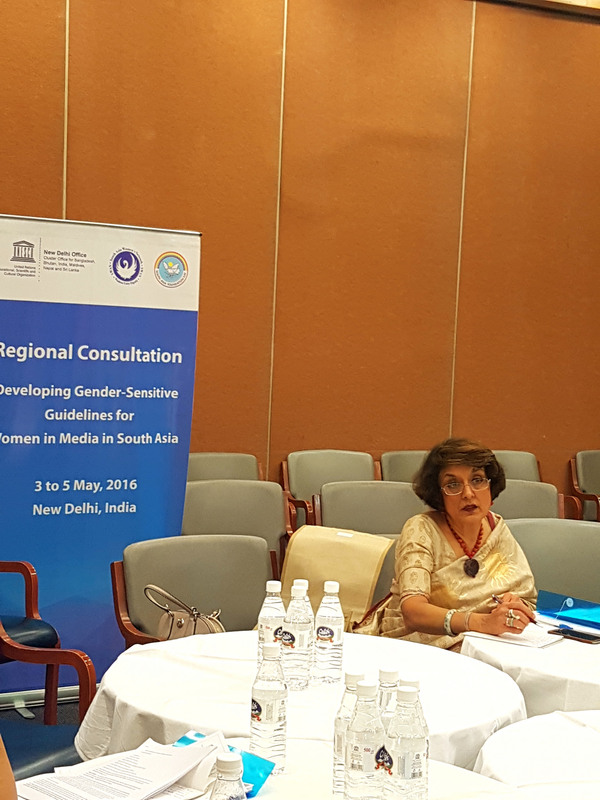 REPORT ON UNESCO-SWAN REGIONAL CONSULTATION: DEVELOPING GENDER SENSITIVE GUIDELINES FOR WOMEN IN MEDIA IN SOUTH ASIA. Develop tools and knowledge products, including a gender policy and common minimum standards for adoption by media houses in the region. 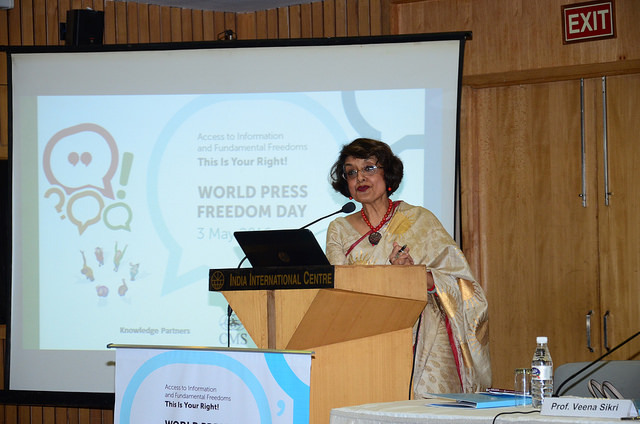 Build the capacity of women journalists to mainstream gender in reporting; and sensitize editors and gatekeepers about the need for gender‐sensitive reporting. 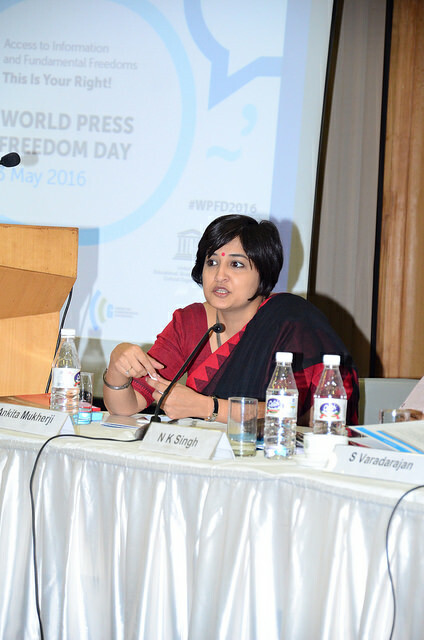 Facilitate the sharing of good practices, country cases, journalistic experiences, and knowledge products. 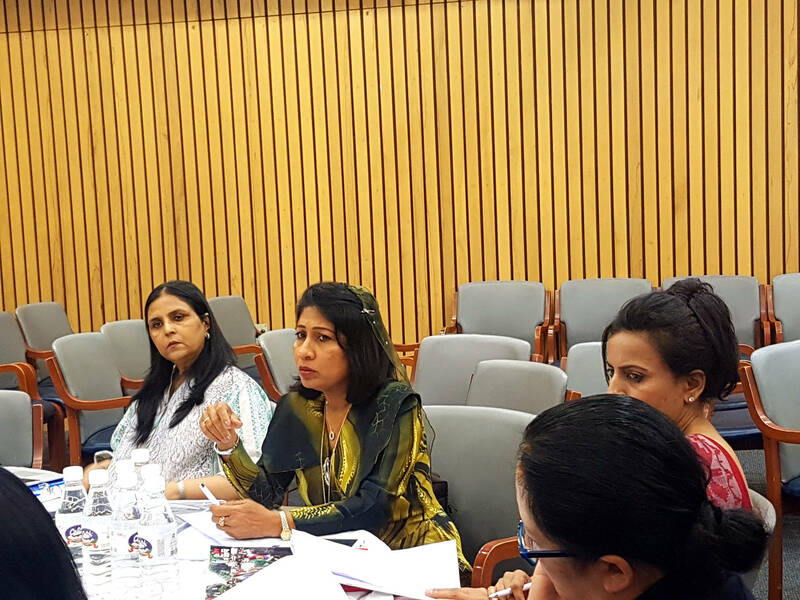 Monitor trends related to women in the media, develop strategies for mainstreaming gender in the media, and conduct advocacy on related themes. 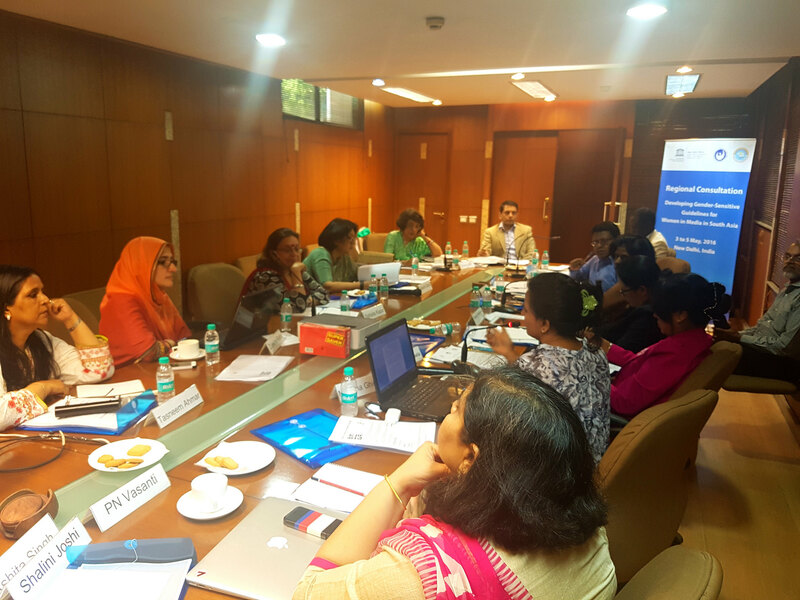 The Regional Consultation in New Delhi from 3 to 5 May, 2016, is the first step in the implementation of the UNESCO-SWAN Women in Media Initiative. 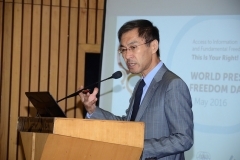 SWAN thanks UNESCO Regional Office, New Delhi and South Asia Foundation (SAF India) for their support in making this regional consultation a success. In particular, SWAN thanks Mr Shigeru Aoyagi, Director and UNESCO Representative for Bhutan, India, Maldives and Sri Lanka, for his assurances of continued support in the implementation of the program agreed upon. 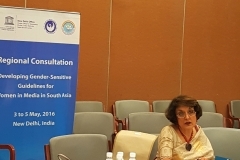 The seven participating countries in this consultation are: Afghanistan, Bhutan, India, Maldives, Nepal, Pakistan and Sri Lanka. The Agenda for the Regional Consultation is at Annexure A. The list of participants is at Annexure B. Bangladesh and Myanmar, who are a part of this initiative, were unable to participate this time. 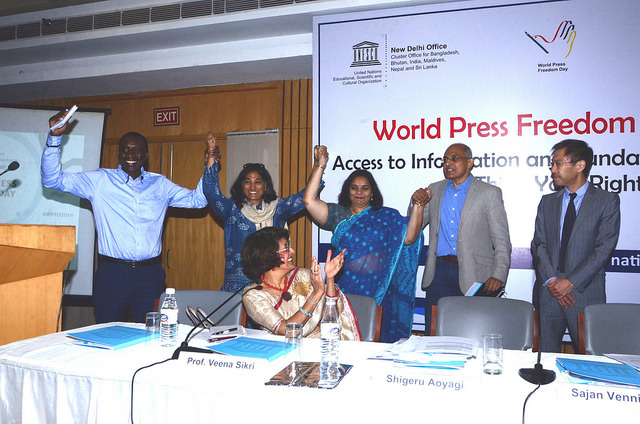 UNESCO and SWAN agree on the critical role of the media as a reflection of society and an agent of change, through media freedom with responsibility. 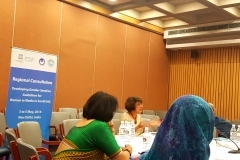 UNESCO and SWAN recognize the importance of gender empowerment as a key to sustainable economic growth, social development, environmental sustainability, and promotion of peace in South Asia. 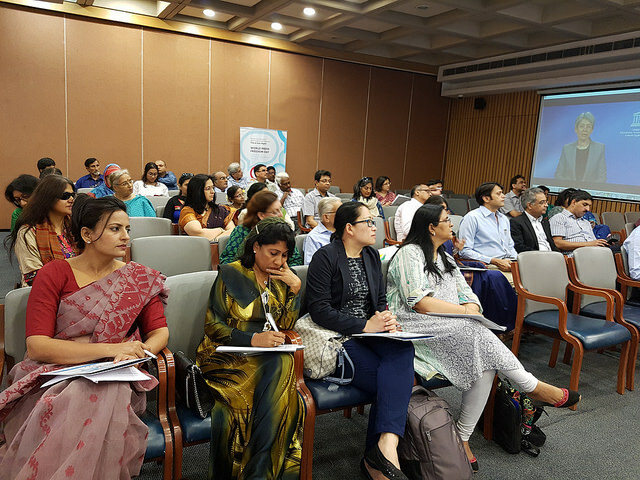 If sufficiently empowered, women in media across South Asia can themselves play a critical role in creating awareness about the need for gender empowerment and for building inclusive societies. Women in media can become agents for bringing in the change they want to see. 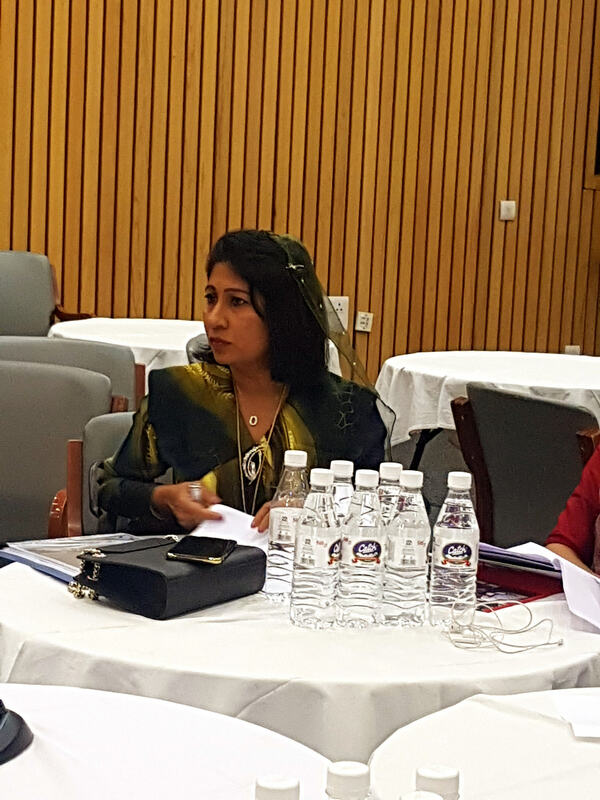 Throughout the discussions at the Regional Consultation, the need to deter and counter gender-based violence (GBV) and sexual harassment were high-lighted. These are cross-cutting priority issues that adversely impact every aspect of women’s work in media. Develop gender sensitive media guidelines and standards, targeting women journalists, media owners, editors and policy makers. 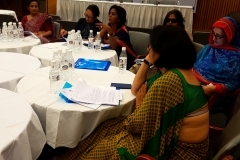 Undertake a baseline survey to assess the status of women media practitioners in South Asian countries, thereby providing a basis for monitoring and evaluation, together with a roadmap for measuring annual progress and achievements . Develop a methodology for advocating the adoption of the proposed guidelines and standards. 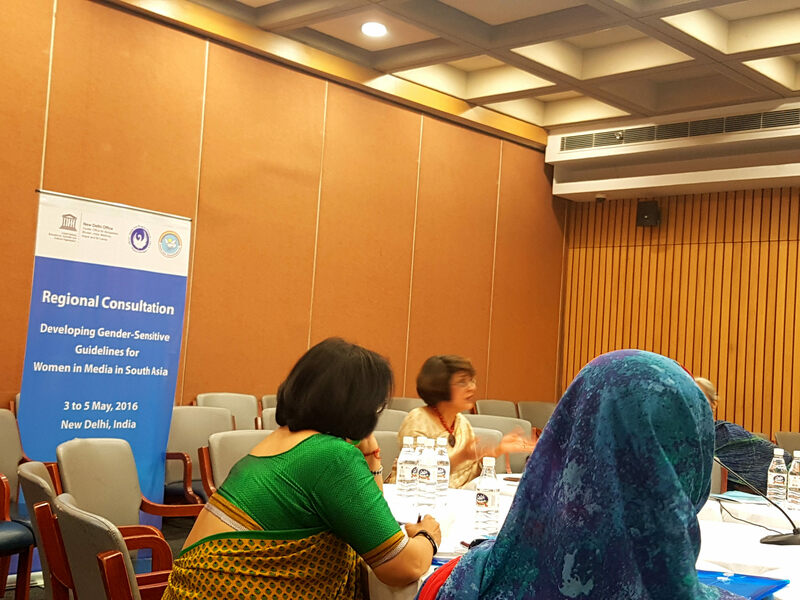 Develop a mechanism for implementing this initiative in the participating South Asian countries . 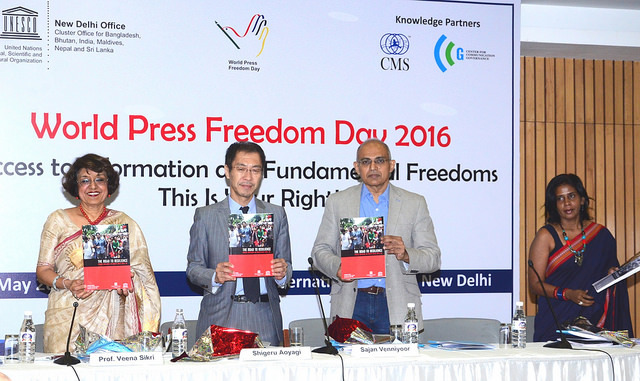 The Regional Consultation agrees that the guidelines should cover print, electronic and online media, including advertising. Entertainment media, given its rising consumption and importance on these platforms, is also included in these guidelines. 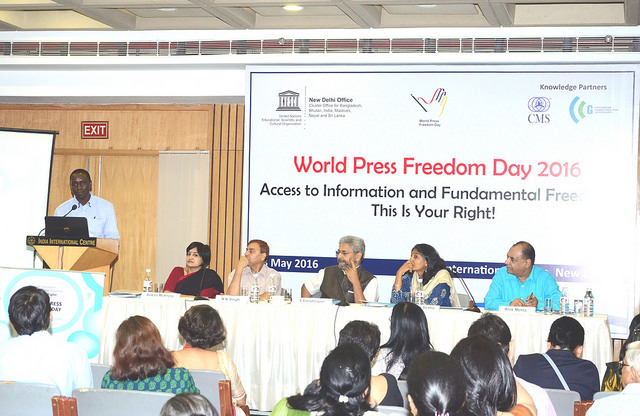 In developing these guidelines, the Regional Consultation acknowledges and relies upon the UNESCO Gender Sensitive Indicators for Media. 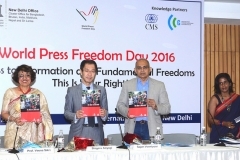 In developing the baseline survey the Regional Consultation acknowledges and relies upon the International Federation of Journalists’ (IFJ) Questionnaire for the Survey on Gender and Media in Asia Pacific, which was supported by UNESCO and UN Women. 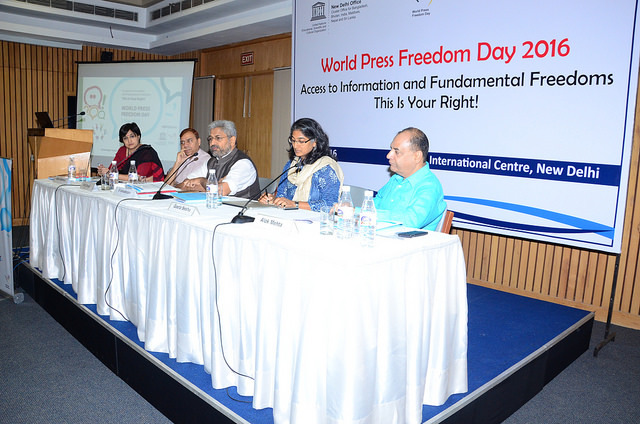 Development of transparent equal opportunity policies within media houses in an inclusive manner. Development of comprehensive implementing measures (for equal opportunity policies), with timelines and monitoring mechanisms. Adoption of affirmative action programs and policies to ensure equal opportunity for women, including through job announcements and other publicity. Specific budgetary allocation to support comprehensive equal opportunity policies. To incentivize implementation of best practices in promoting gender equity through recognition / awards. Transparency and gender parity in recruitment practices and policies at all levels, including for contractual and part time workers. Measures and policies to ensure equitable working conditions: including provision of nurseries and crèches, maternity and paternity leave, flexi-hours, canteens, late night transport and separate toilets. Equal pay for equal work, including equal promotion opportunities and equal access to all benefits. Gender responsive budgeting with participation of women, together with regular gender audit as per the statutory cycle. Inclusive monitoring mechanisms, including cyclical reviews of these policies. 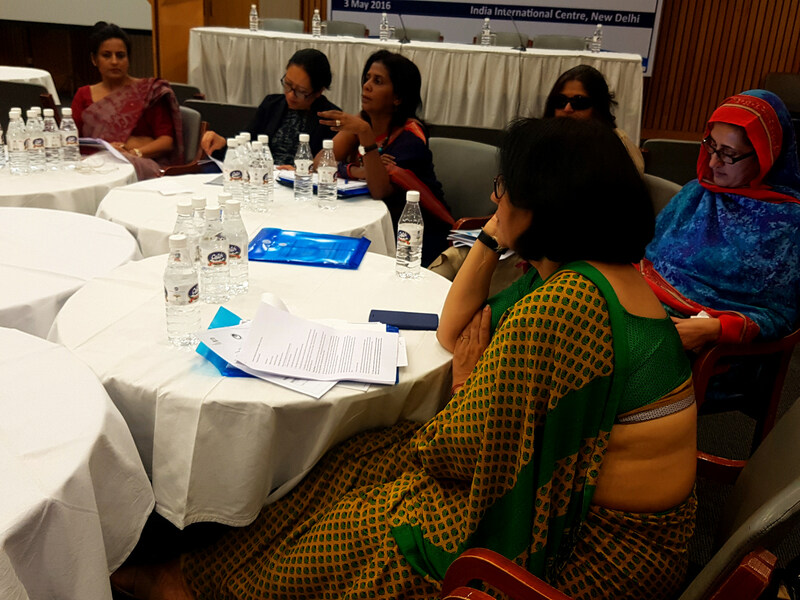 Existence of gender sensitive HR policies, and ensuring adequate publicity for the same. Establishment of media associations, unions, and organizations of journalists wherever they do not exist, with a focus on gender parity and increase in female leadership. Increase membership and leadership of women in existing structures. Existence of mandatory gender policies and gender responsive mechanisms within these structures. Introduction and implementation of biannual and annual evaluation and monitoring systems that measure women’s participation and influence in decision making in all activities and programs at all levels. 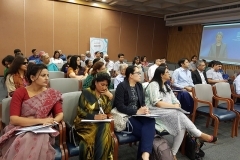 Gender sensitization of senior management and staff of universities, media and communication schools, training institutions, advertising agencies and NGOs. 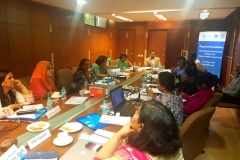 Development of gender sensitive curricula and integrating gender specific content and mainstreaming gender in these curricula through inter disciplinarity. Introduction of gender studies in media and communication institutions. 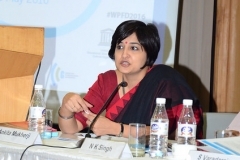 Gender parity among faculty of education and media/communication training institutes. Equal opportunities for enrollment of male and female students at all levels in all academic and training institutions. Integration of gender sensitive measures within the learning environment. Development and implementation of a comprehensive written gender policy and standardized code of ethics in consultation with all tiers of media workers. 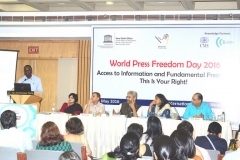 Development of a gender sensitive style book, gender glossary, use of gender neutral language, and standardized training manual and a directory of women experts to adopt gender sensitive media practices. Institutionalization of gender based complaints mechanism for in-house staff and for the public . Raising public and staff awareness about the existence of such mechanisms. Establishing a monitoring protocol to measure the effectiveness of gender policies and mechanisms. Ensure implementation of policies that are gender sensitive, gender responsive and gender transformative. Rewarding and incentivizing compliance with these policies. Ensuring the setting up of a functional complaints’ redressal system. Allocation of resources for gender sensitive budgeting and gender auditing. Facilitation of women leadership through affirmative action. Development and implementation of a policy to effectively deter and counter gender based violence (GBV) and sexual harassment at the work-place, and in the field. Create awareness and understanding (among men and women) about the importance of and the need to strictly adhere to all aspects of the policy on Avoiding and Ending GBV and harassment. Create mechanisms at all levels to address sexual harassment and gender based violence. Setting up of an effective complaints’ redressal system and establishing a mandatory sexual harassment committee/cell that can receive and address all complaints in a speedy, time-bound manner. Annual assessment of the complaints and redressal mechanism. Advocacy with governments on strengthening the laws and widening the scope of measures against GBV and sexual harassment. Gender parity in news and current affairs content development. Equal representation of women as spokespersons, experts and interviewees. Advertising councils and regulatory bodies must be pro-active in putting measures in place to present a positive image of women. Addressing issues relating to depiction of GBV and sexual harassment as part of portrayal aspects under B 1 to B 4 above : are current guidelines and laws adequate to handle the serious mal-portrayal of women through the media? 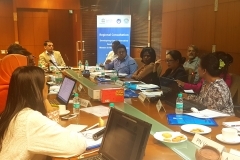 Informal discussions and consultations with respective stakeholders in each SWAN country, including National Commissions of Women, women journalists (seniors and freshers, in urban metros and in rural areas) and UNESCO offices. Feed-back to be received by September 2016, and collated. 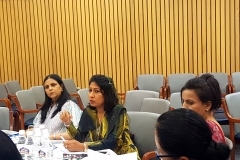 It was suggested that a baseline study on women in media across all South Asian countries be conducted to feed into the development of the Guidelines, documenting the current scenario and also for advocacy purposes. 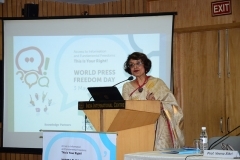 This research component will be supervised and coordinated by the Centre for Media Studies (CMS), a Delhi based specialized research think tank (www.cmsindia.org). 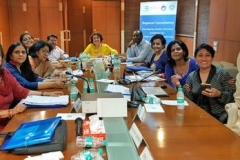 The research design, methodology, tools and report templates will all be finalized in discussion with respective country research teams set up by SWAN members (research tools and guidelines will be adapted from IFEJ Gender Survey). The data collection will be undertaken by respective country teams, using the finalized research tools and guidelines. CMS will provide orientation on methodology and tools used for data collection. The data analysis and tables will be conducted by CMS with the raw data (in given templates) send by each country teams. CMS will also undertake the India component of the study and will provide an overall South Asian scenario. Online survey of media professionals, including in-person survey as and where required. The first four methods will be the main data collection techniques for this baseline study and the latter two methods will be for triangulation of findings from each respective country. Details of each methodology and sampling, along with draft tools are enclosed in Annex. These suggested mechanisms are for monitoring implementation and advocacy outcome of the guidelines. These will be specially designed to gather relevant information/ indicators for measuring progress on the implementation of the guidelines, along with built in advocacy component. For example, the Awards will be an incentive for media organizations to share relevant organizational details for eligibility and also be a role model for other media organizations. Similarly, regular workshops and conferences in each country will provide an opportunity to advocate for more gender sensitive media while also documenting trends. This midline study will be in line with the baseline to provide evidence on progress made in each country on the guidelines and being more gender sensitive and inclusive. 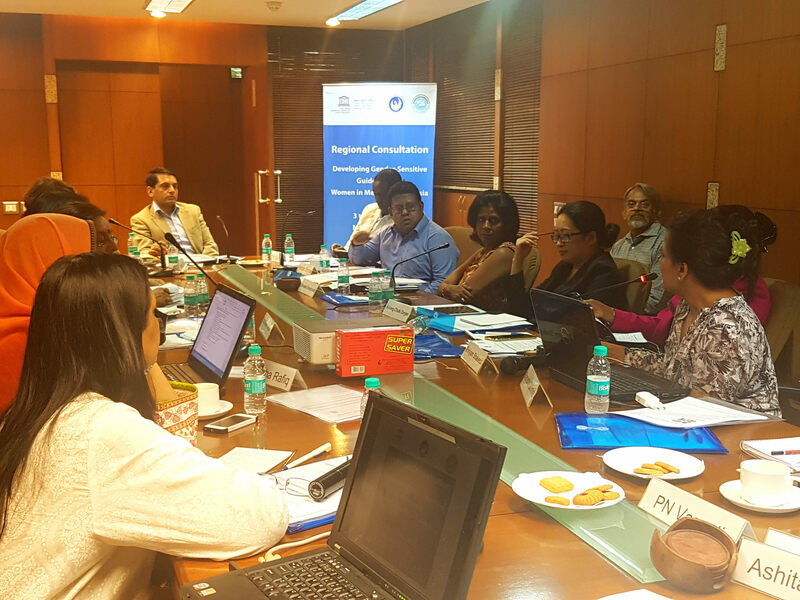 The monitoring mechanisms and midline survey together will provide markers for respective countries and also inputs for revisions required in the guidelines. These two components will be finalized after completion of the baseline survey and discussions. Each SWAN participant (in the Regional Consultation) will provide feedback, with full details, on partners who will conduct the baseline survey in their respective countries, by end of May 2016. Based on the sample and methodology note (being circulated alongside) and the budget template draft already shared, a baseline survey proposal with budget is expected from each country. CMS will coordinate and compile all these proposals for a joint submission for grants. This will be done first through informal consultations, then through email campaigns, interviews and series of seminars and workshops held in individual countries as well as regionally. (Separate budget to be prepared for advocacy). The results of the advocacy initiative (at III above) will determine the extent of acceptability for implementation of the GSGWM. The baseline survey monitoring and evaluations mechanisms will track the implementations through awards and online documentations of good practices through the website. 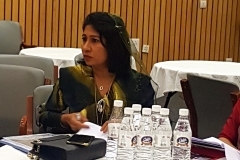 Funding for advocacy and implementation of GSGWM will be sought through UNDP, EU, SAARC Development Fund (SDF).